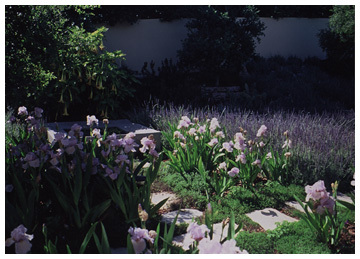 Making The Most Of A Small, Steep Site Above Bel Air, With Lavender, Iris, Coast Live Oak And Cork Oak. 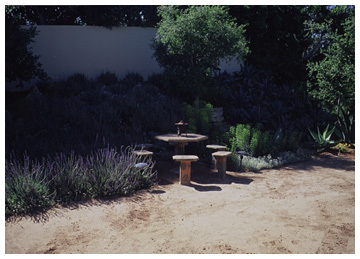 The tiles embedded in the bench are rare, turn-of-the-century California ceramics. The bench and table are from the 1939 World's Fair in Queens, New York.